San Diego brides come to Jill Courtemanche Millinery for one-on-one couture treatment. Specializing in bridal headpieces and veils as well as hats for women and men; everything is made by hand in this Solana Beach atelier. Make an appointment and have a piece custom made to suit your face, pick up on the details of your dress or bring to life your dream bridal look. Nicole Miller is San Diego’s premier destination for bridal gowns, dresses and evening wear. As a designer, she combines the ideas of elegance and rebellion to achieve a subtle sexiness that is the essence of modern femininity. We find solace in the simplicity of a table that brings people together to share a meal. The Vetted Table is dedicated to creating fun, unique and memorable dining experiences. We love making good food, for good people, who like to have a good time. In the end, our dream is simply to make your dream come true. Carriage Trade Catering is a full-service catering company with 35 years of experience that customizes each menu to match each client’s style, with seasonal/organic produce and sustainable meats, fish and poultry. 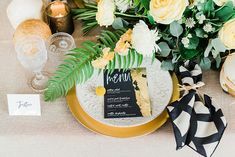 With our unique family style service and fun, small-bite menus, all your wedding guests will enjoy fantastic food that’s both enjoyable and easy to handle. Whether your event is on the beach, at a museum, a private residence, or in the park, Carriage Trade will accommodate any group size with delicious food and impeccable service. Style. Passion. Individuality. We help bring life to your every wedding vision and dream. Festivities Catering & Special Events specializes in listening to your wants and creating the perfect wedding day that truly shares your love story. From award-winning cuisine and expert service to décor, centerpieces, design and more, we have the tools to help you paint your life’s most memorable moment. La Reine des Macarons (French for The Queen of Macarons) is a catering company dedicated exclusively to catering artisan French Macarons to weddings in San Diego. Macarons are gluten-free and custom made to your personal selection of colors and flavors. Display a ten-level French Macaron tower that holds 200 macarons or order elegant tiered platters to create a gourmet French boutique statement at your wedding! When planning your wedding reception, you owe it to yourself to consider one of San Diego’s leading catering and wedding cake professionals, The French Gourmet. We have served San Diego with the city’s finest full-service catering for over thirty years, offering high quality menu suggestions in the cuisine of your choice. Delicious and beautiful custom artisan desserts. Using the finest ingredients to handcraft decadent cakes, petite dessert tables, and favors. It all starts with a custom tasting experience in our gorgeous tasting room where you will indulge in an array of sweets, see our extensive inventory of pedestals, and have fun customizing the look and taste of all of the sweet parts of your big day. 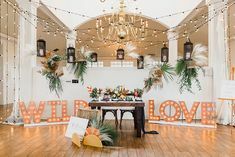 Blush Botanicals is a full service floral and event design company that specializes in creating high-style weddings and extraordinary events for the most discriminating of clients. Co-founder and owner Alexandra Wise ensures that each event is masterfully created and studded with gorgeous detail and unique charm. Whether beginning the process from the initial event concept or helping to develop an already chosen design aesthetic, Blush works closely with each client to ensure that their expectations are surpassed. At Flowers~Annette Gomez, every event is designed using incredible textures, color combinations and style. Annette utilizes quality ingredients from the finest resources available and is consistently adding elements to her repertoire. Our distinctive arrangements reflect our passion for creating beautiful florals that emulate each brides individual taste and style. We use only hand-selected flowers that enhance our unique and fresh approach to each wedding. The Floral Department’s visionary team of The Floral Department is known for their excellent blending of color, contrast, and texture. Creating exquisite decor by hand selecting and combing indigenous species with delicate exotics is a signature. Whether you fancy that “happened upon” vintage flair or sophisticated modern elegance, the Floral Department designers are always driven to produce outstanding affairs in harmony with your style. Jennifer Cole Florals will create your dream-wedding. It’s Jennifer’s passion for doing what she loves that has her regarded as one of the most sought after floral designers in Southern California. Jennifer’s clients praise her professionalism, attention to detail and desire to make their dream wedding come true. Jennifer’s creative spin on current trends creates some of the most inspired designs. JCF is YOUR wedding florist. 25+ years of performance and arranging for solo acoustic guitar allows Mr. Moynier to offer a variety of musical styles for your special event. For your ceremony there is classical music from the Renaissance, Baroque, Classical and Romantic periods. For the reception, there is lively Nuevo Flamenco, Spanish, Jazz and Contemporary music. A Better Deal Men’s Tuxedos & Suits is owned by Jerry and Janet Klein who have over 60 years of combined experience. We offer the best prices and the highest level of customer service. The Gentlemen’s Tux Club is San Diego’s premier tuxedo rental and sales company for your groom and all the guys! Offering the same range of services as the big chains, but with knowledgeable, dedicated staff. We stock traditional, contemporary and edgy tuxedos that are awesome! And at great prices too! Nationwide service is available for groomsmen who live in other areas of the country. All photo booths weren’t created equal. Hire us and you’ll get to enjoy one of the finest and most advanced photo booths ever created. Every rental includes: a friendly attendant, color or B&W double prints, online gallery, and first-class service Doulbe prints are a “must have” when your guests create a photo scrapbook. Best yet, our strips print in 8 seconds yet they’ll last a lifetime. 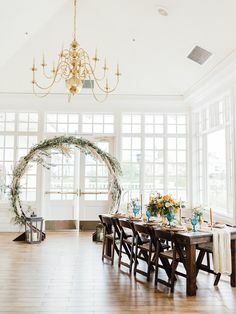 Archive Vintage Rentals is your source for unique, vintage, and one-of-a-kind rentals for weddings and events, ranging from grand specialty furnishings to the smallest whimsical touches. Items that are often impossible to find and expensive to buy, are now available to you through Archive. We have multiple warehouses throughout California, and can readily accommodate events anywhere on the West Coast. You’ll also find a hand-picked selection of our favorite treasures for purchase, because we understand that some things are just too beautiful to part with. Known for their one-of-a-kind designs, the artists at Enticing Tables design, build and rent modern wrought iron cupcake and cake stands, centerpiece and ceremony floral stands, candelabras, arbors, chuppahs, arches, chandeliers and more. Each design is hand-made, not mass produced, at our San Diego workshop and available in a variety of colors and finishes to complement your event’s color palette. 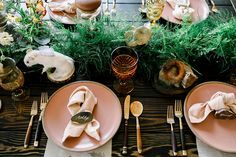 Whether you’re an event industry professional, a do-it-yourself bride or a quintessential party queen, your guests will love these one-of-a-kind designs. Artfully crafted large farm tables and benches for rent for your event! Available in two colors : rustic brown and white washed! Wooden dance floor, fine china, burlap and lace and much more! Contact us if you would like earthy, yet elegant, surroundings for your wedding or event or more! “Felicity” – San Diego’s Only Wedding Trolley! Capture your moment in style aboard our elegant wedding trolley, “Felicity”, adding a unique charm to your special day. Our classic trolley is beautifully adorned with polished brass railings, rich mahogany trim and soft interior subtleties. Reminiscent of a by-gone era, “Felicity” is escorted by your tuxedo-clad chauffeur and will ensure your day is uniquely memorable. So relax, with red-carpet treatment, we’ll get you there safe and on time! When planning your dream wedding, consider the perfect setting, the perfect menu and the perfect location on the shores of beautiful Mission Bay in San Diego. The Hilton San Diego Resort & Spa is the quintessential California resort with white sand beaches and arching tropical palms, the ideal backdrop for your dream wedding. Imagine your ceremony under the California sunshine on the beach overlooking beautiful Mission Bay. Whether you’re planning an intimate wedding reception with your family and closest friends, or prefer to dance the night away, our Tuscan inspired ballroom and panoramic views are the ideal stage for your wedding experience. You will find our location to be an extraordinary place in an out-of-the-ordinary atmosphere. Like the happy couple, The Pearl Hotel is deeply invested, vowing to provide a unique San Diego venue for romantic wedding ceremonies and intimate receptions. Crafting memorable guest experiences is our passion. We offer affordable, four-star cuisine for up to 150 people, group rates for stylish accommodations, and Orchid Award-winning, vintage-modern design. Celebrate your dream day with service and hospitality as warm as the sun. With over 2,000 state-of-the-art slot and video machines, 87 table games, 10 great restaurants, two lounges with live entertainment daily, and the 2,000 seat Pala Events Center there’s always something fun to do at Pala. Posh: Elegant, Classy, Stylish. The Posh Knot is a full service event planning firm specializing in event planning, management and design. The Posh Knot is dedicated to executing each of our clients vision right down to the very last detail. We work hard to provide our clients with more than a well planned event, but we aim to give our clients a POSH and unforgettable experience! Contact us today to start planning your beautifully packaged event tied with a Posh knot. Michelle Garibay Events specializes in Temecula area and Hawaii destination wedding design and coordination. Through our unique “visual planning” approach, we combine our unsurpassed standards, highly organized communication and beautiful design for personalized service that focuses on you and your wedding vision. Exquisite details, exceptional quality, flawlessly managed. Contact us today to get started! Monarch Weddings will transform your dream into a reality! With great attention to detail, impeccable planning, an established base of vendor contacts and resources, expert creative design and a genuine passion for all things bridal, it is our goal to exceed your greatest expectations and create your dream wedding that represents your unique vision & style while telling your individual love story!